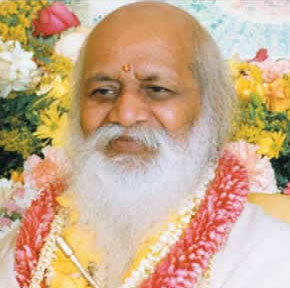 Maharishi Mahesh Yogi, renowned Vedic scholar and teacher, introduced the Transcendental Meditation® technique to the West over 50 years ago. Beginning in the late 1970s Maharishi turned his attention to the revival of Ayurveda, the ancient Vedic science of health care. He gathered around him the greatest Ayurvedic physicians of his age, scientists and modern medical doctors and under his guidance they developed a modern revival of Ayurveda called Maharishi Integrative Ayurveda. This modern formulation of Ayurveda re-establishes its original focus on the pre-eminent importance of consciousness and mind-body balance in creating health. Ayurveda, the traditional medical system of India, is the world’s oldest continuously practiced tradition of medicine and has been recognized by the World Health Organization (WHO) as an effective and sophisticated system of natural health care. Maharishi Integrative AyurVeda is a modern revival of this ancient system, which offers comprehensive knowledge for the prevention and treatment of disease and slowing of the aging process. Maharishi Integrative AyurVeda is a holistic system of health care that includes mental, physical, behavioral and environmental approaches. The goal of these approaches is to enliven the body’s inner intelligence, which is understood to be a unified organizing principle at the basis of all physiological self-repair and healing mechanisms. This inner intelligence expresses itself in the body as three primary governing factors or doshas – called Vata, Pitta, and Kapha – which regulate the different functions of mind and body. When these three doshas are in balance, they promote good health and longevity; when they are out of balance, they produce disorder and disease. When examining a patient, the practitioner trained in Maharishi AyurVeda will first diagnose the underlying state of balance or imbalance of the three doshas and then, based on this assessment, prescribe therapeutic regimens to restore balance. Over the past 30 years, over three hundred fifty research studies have been published in peer-reviewed scientific journals on the efficacy of treatment components of Maharishi Integrative AyurVeda, including the Transcendental Meditation technique, specific herbal preparations, and physiological purification procedures. The National Institutes of Health (NIH) has funded over $25 million in grant support for research on the Transcendental Meditation technique and other Maharishi Integrative AyurVeda modalities in the prevention and treatment of cardiovascular disease.